Gulf War veterans are waiting, much like those veterans exposed to gent Orange in Vietnam and Korea, for recognition and treatment of illnesses they suffer from service to this country. Many studies have been done and are yet underway looking into the interrelationships of a myriad of both environmental and chemical precipitators affecting those that served in the Gulf. To the credit of the Veterans dministration, Persian Gulf exams are offered free to those that apply. Information from these exams will provide crucial baseline data that, when used cumulatively, may help establish correlations between certain exposures and subsequent health problems and provide important information useful in claims for “service connected” conditions. Conditions commonly experienced by Gulf War Veterans include fatigue; skin conditions; headache; muscle and joint pain; memory loss with difficulty concentrating; shortness of breath; sleep disturbances; gastrointestinal problems; dizziness/loss of balance; and chest pain. In 1994, Public Law 103-446 allowed the V to pay compensation to Gulf War Veterans with certain chronic disabilities. It was not until 2001 that Public Law 107-103 established three “presumptive” conditions for purposes of V service connected compensation. These three conditions are fibromylgia, chronic fatigue syndrome, and irritable bowel syndrome. The V has also concluded that the exceedingly high mortality rates from brain cancer deaths and myotrophic Lateral Sclerosis (LS) may be connected to service in the Gulf War. Gulf War Veterans with any of these conditions, including those denied prior to the 2001 law, should apply for V disability by seeing their County Veteran Service Officer. Gulf War Veterans had a complex set of exposure variables that may have affected their health. During Operation Desert Storm, 41% of U.S. combat soldiers were vaccinated against nthrax. Tablets were taken by some in various doses for protection against nerve agents. Insecticides were commonly used against sand fleas and other insects which may have contributed to Gulf War illnesses, but also conditions from these infected organisms. There still remain unanswered questions regarding exposure to chemical weapons/neurotoxins and to what degree. Depleted Uranium exposure occurred from direct fire and from clean-up that followed. irborne particulates were especially problematic due to the amount of exposure and how fine the particles actually were. In addition to all of the above, there is the issue of extreme temperatures and burning oil wells that sent billowing clouds of filmy smoke near and far. Now combine all or some of these factors together in varying levels of exposure and you have a glimpse of what the V and the Gulf War Veterans are up against. 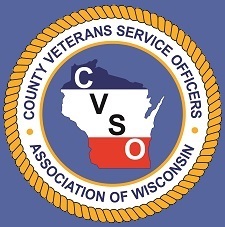 For information on any veteran benefit, contact your County Veterans Service Officer whose phone number is in the blue or white pages of your phone directory or available on the website: www.wicvso.org.